This good looking shed in back of the house is torn down too. Description 350 Furnace Street. 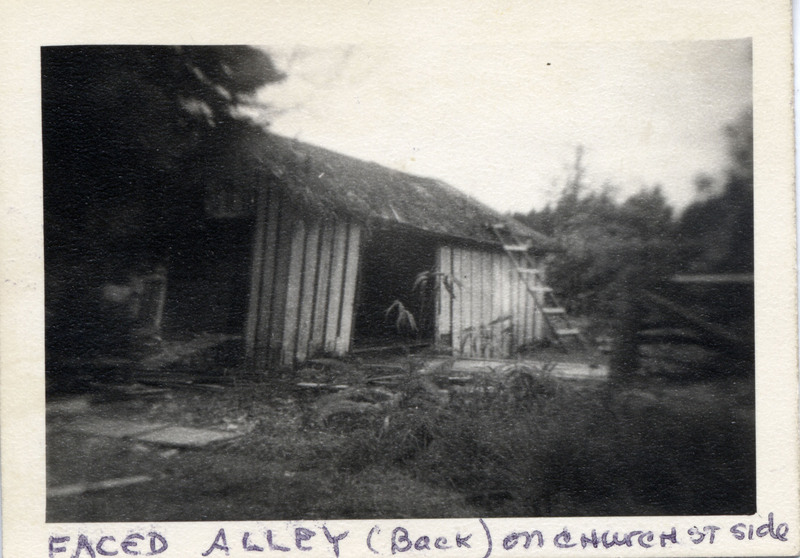 [written on front]: faced alley (back) on Church St. side. Transcription This good looking shed in back of the house is torn down too. Physical Description H 2.5"" x W 3.5""